When the early Dutch settlers landed on our shore hoping to find wood to use as building material for their ships, all they found was a low shrubby bush. “What are we supposed to do with this? There is nothing here but fine bush”. This is the legend of how 'fynbos' got its name. Although the flora of the Cape may not have been ideal for building ships, it displayed such an astounding diversity and uniqueness that it was soon declared one of the six floral kingdoms of the world! The Cape Floral Kingdom is by far the smallest of the kingdoms (the only one to fit within one country) but it is also the most diverse, with more than three times the floral species of the Amazon Jungle! Within an area of just 90 000 km2 there are over 9000 species of flowering fynbos plants, 70% of which are found nowhere else on earth. Fynbos is not only famous for its remarkable diversity, but also the incredible beauty of many of its wildflowers. In 2004 Unesco declared the Cape Floral Region, constituting a number of protected areas covering more than 550 000 hectares, a World Heritage Site. Another one of the beautiful and inspiring things about fynbos is how it thrives and proliferates in such harsh and adverse conditions. It is subjected to scorching summer droughts, heavy winter downpours, gale force winds, nutrient-poor soils and recurring fires and yet these unkind conditions are the prerequisites of its survival. Fynbos’ fragile beauty and uncontested diversity flies defiantly in the face of natural adversity. Grootbos is one of the most extensively documented conservation areas in the world. In 1997, resident botanist Sean Privett began one of the most detailed vegetation studies of fynbos ever undertaken. This survey resulted in a total of 307 species being recorded on the reserve of which 32 were Red data species and one was new to science. Four of these new species are known to exist only within the confines of the reserve. The deeply significant ecological role of fire in fynbos was emphasised by the way the checklist jumped from 680 species to 750 after the huge 2006 blaze that swept through Grootbos – 70 new species for the list as a result of post-fire successional processes. 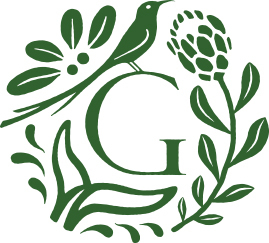 This survey culminated in the publication of a comprehensive Field Guide to the Flora of Grootbos and the Walker Bay region. At Grootbos, it has always been our endeavour to reveal the majesty of this spectacular floral kingdom to our guests through stories and experiences that bring nature to life. It is our hope that you too will marvel at the floral diversity of the Cape and be inspired to protect and care for the diversity of life on our planet.